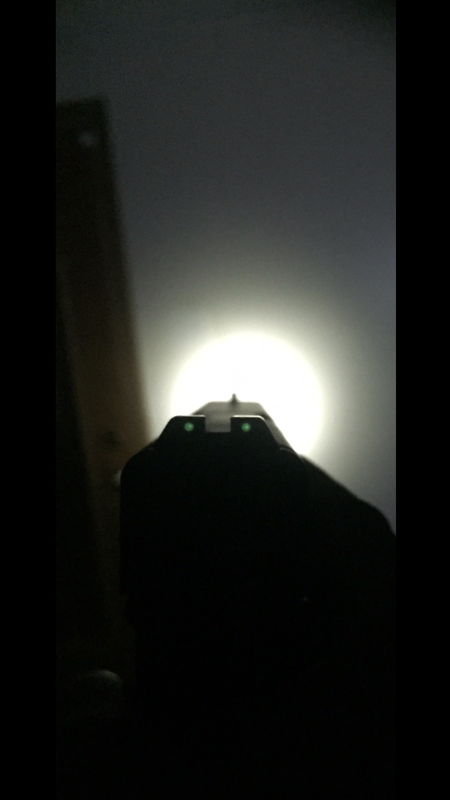 A quick post on night sights for the G40 since it’s new and has a slightly unique set up. 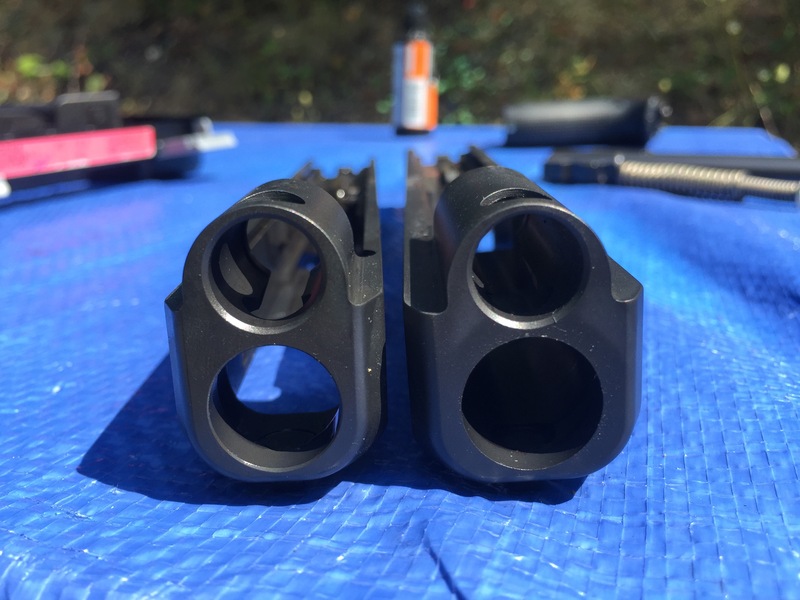 The G40 MOS takes the same size sights as the G20 due to the thicker slide. The MOS cut out causes the OEM adjustable sights to hang off the back of the slide a bit. So some of the after market sight will also hang. While not a functional issue since I was replacing the sights anyway I wanted to replace them with sights that didn’t hang. 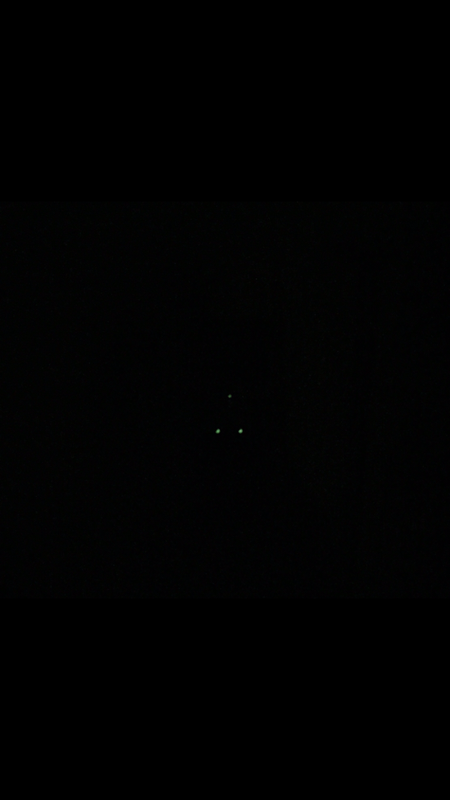 I went with Trijocon’s “Bright and Tough” green three dot night sights. Specifically the GL04. 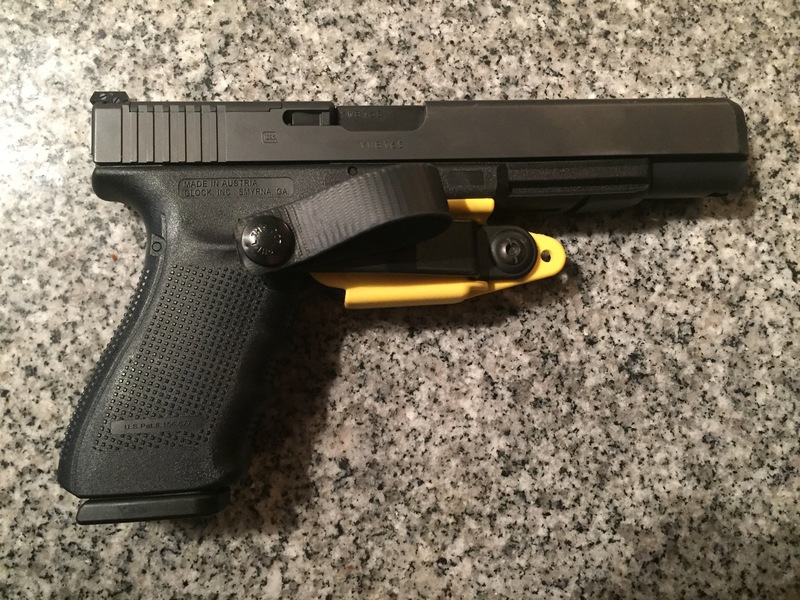 I use the same sights on my other Glocks and they will not hang off the back and are functional and simple. 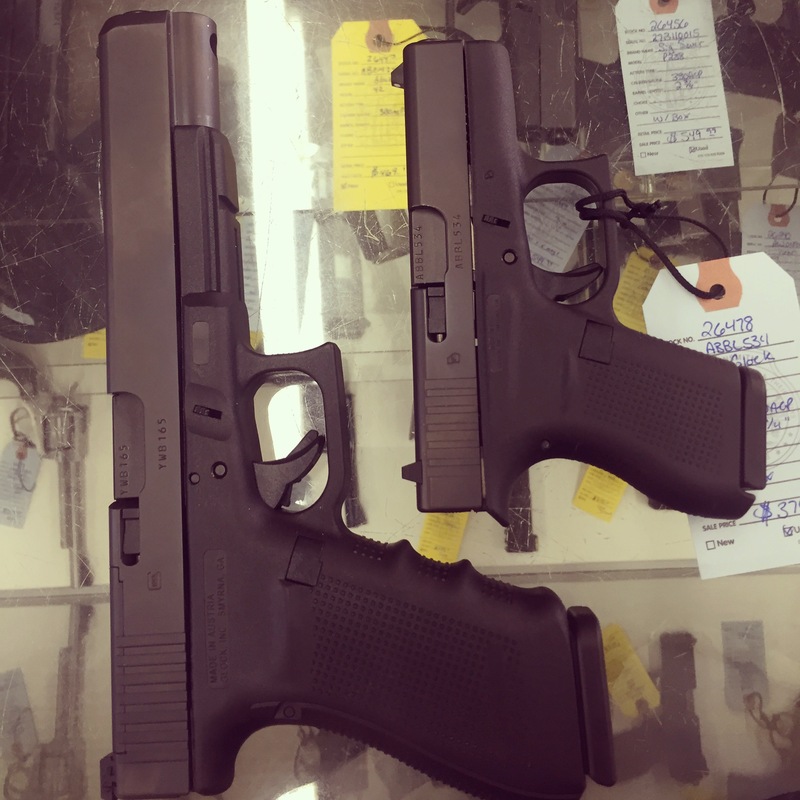 At the 2015 SHOT show, Glock announced that the Glock 40 would be a 10mm long slide, the internet erupted with crying for a single stack 9mm. But not me! 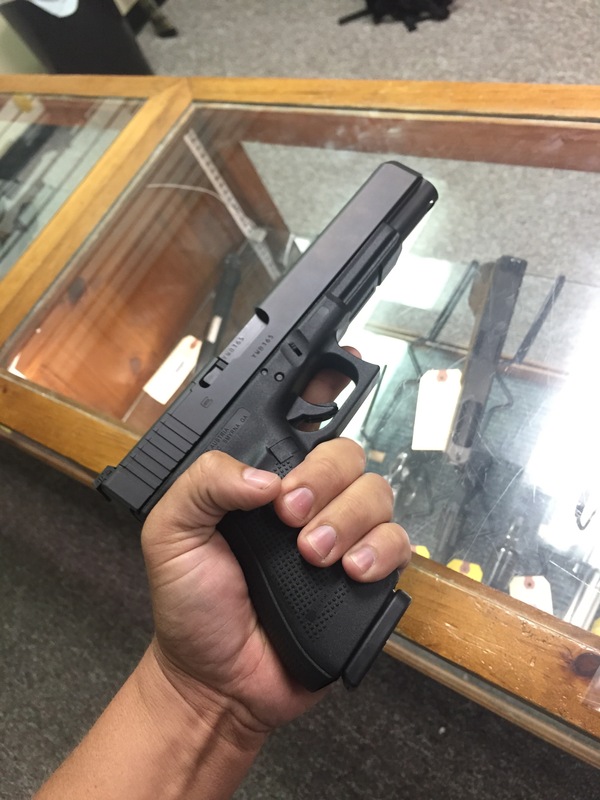 This was the Glock I had been waiting for. Since then I have been scouring the countryside asking every shop I stopped in if they had “that new 10mm long slide Glock”. 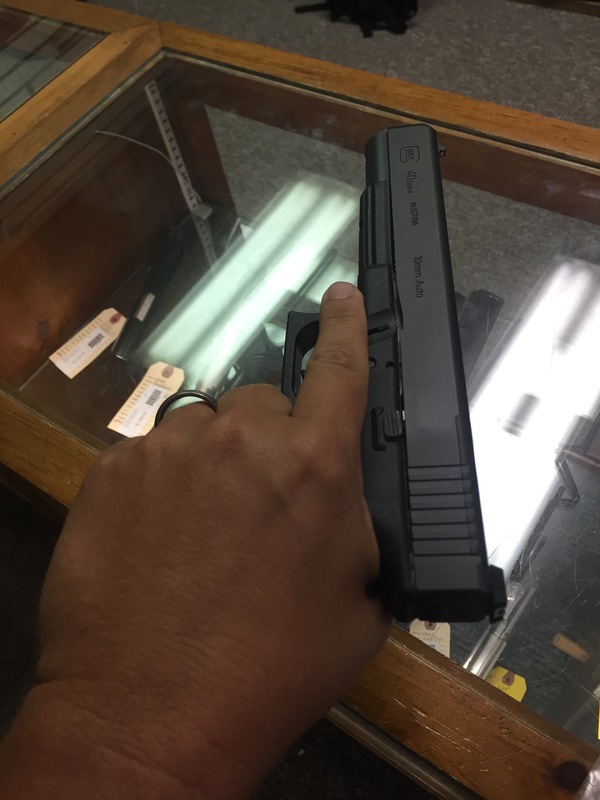 After being shown several .40 cal Glocks, my quest came to an end. 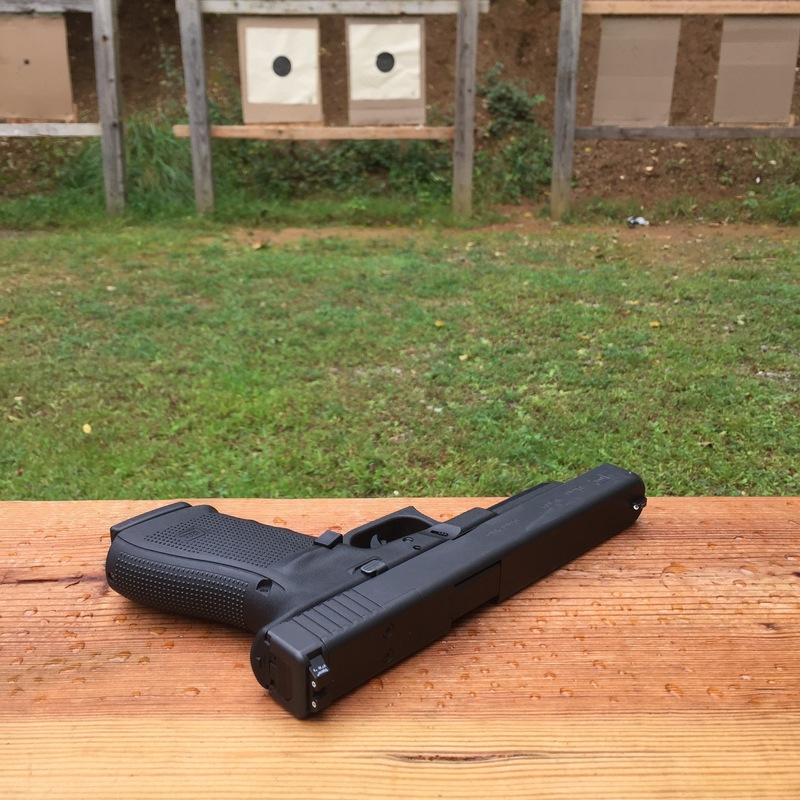 I was lucky enough to find a Glock 40 MOS (G40) at a nice little gun store in the Outer Banks of NC when I was on vacation last week. After a couple agonizing days waiting for USPS to get it to my FFL, I picked it up and took it to the range. 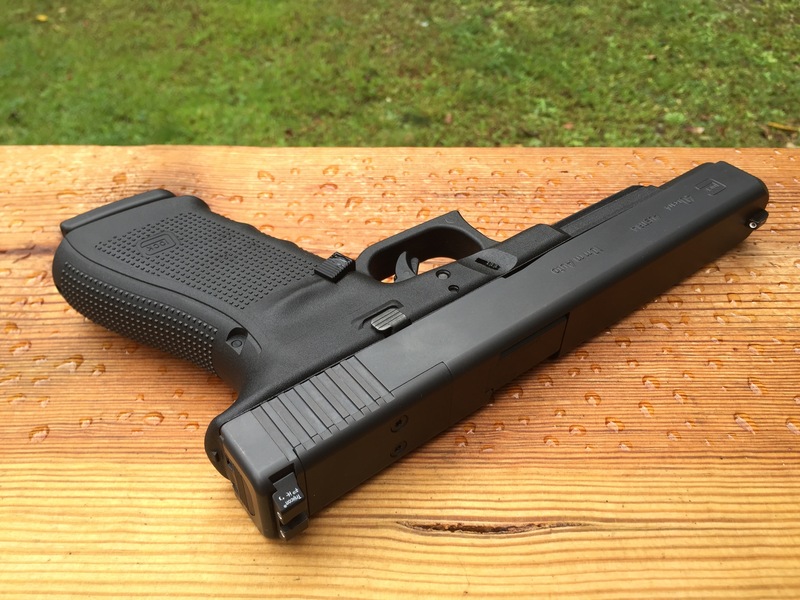 The G40 is a 10mm long slide with Glock’s MOS optic mounting system. It a Gen4 Glock so it comes with 3 magazines and interchangeable back straps. It sports a nice 4.5 lbs trigger with a clean crisp break. 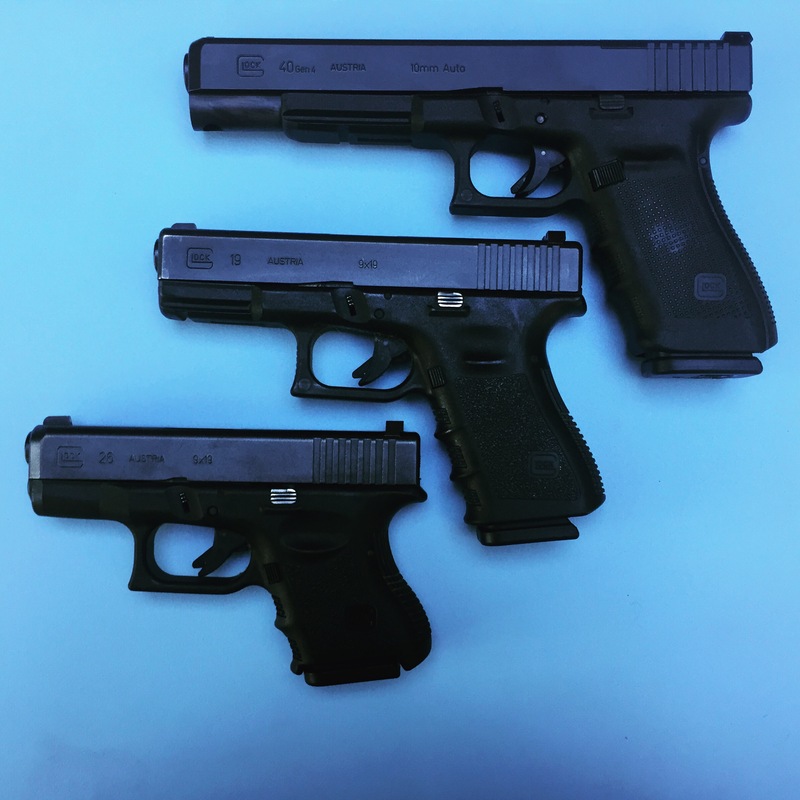 The G40 has a full 6 inch barrel with a 8 inch sight radius and thick 1.12″ slide, which is quite a bit larger than the other Glock long slides. It was designed and marketed for hunting but I wanted it for … well because it is awesome, and it will make a handy woods gun. Right off the bat this thing is a monster. It makes G34s look small. I have a couple of 1911s and a 44 in the stable and the Glock 40 dwarfs them all. 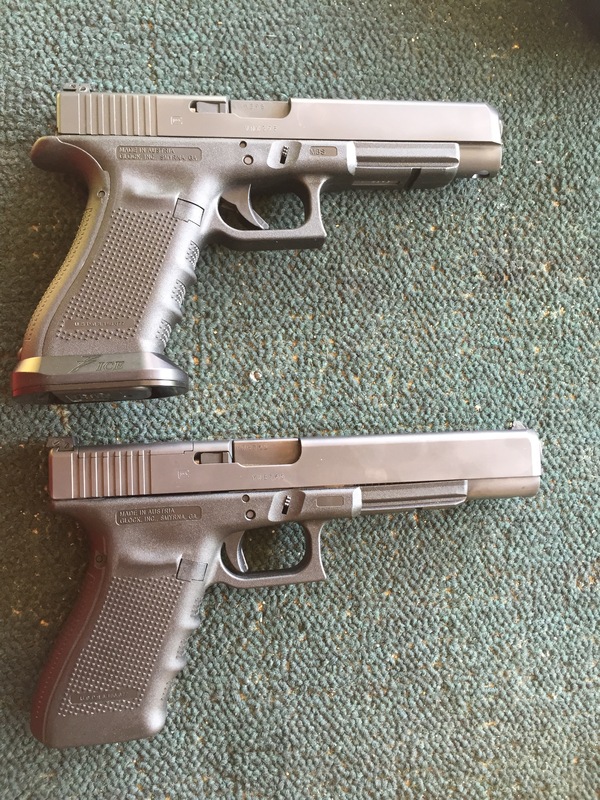 My local gun shop Gordon’s Sports Supply was kind enough to let me take a comparison picture of it next to a G42 380. 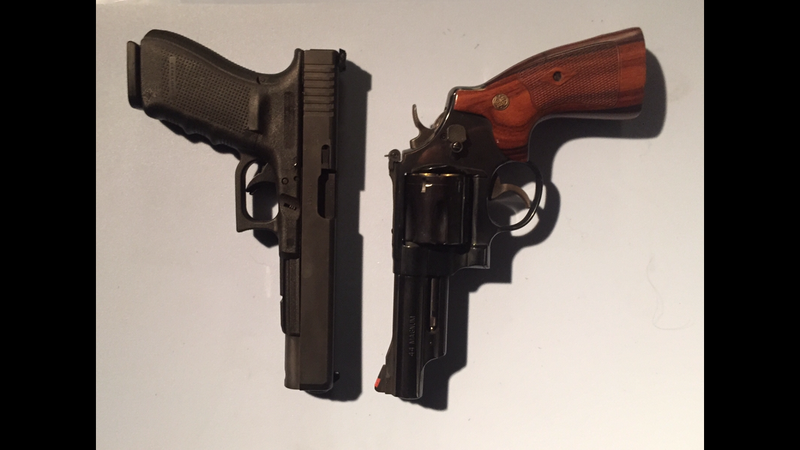 The largest Glock and the smallest Glock. This monster can seem a little intimidating at first. But I can assure you it shoots like a dream. 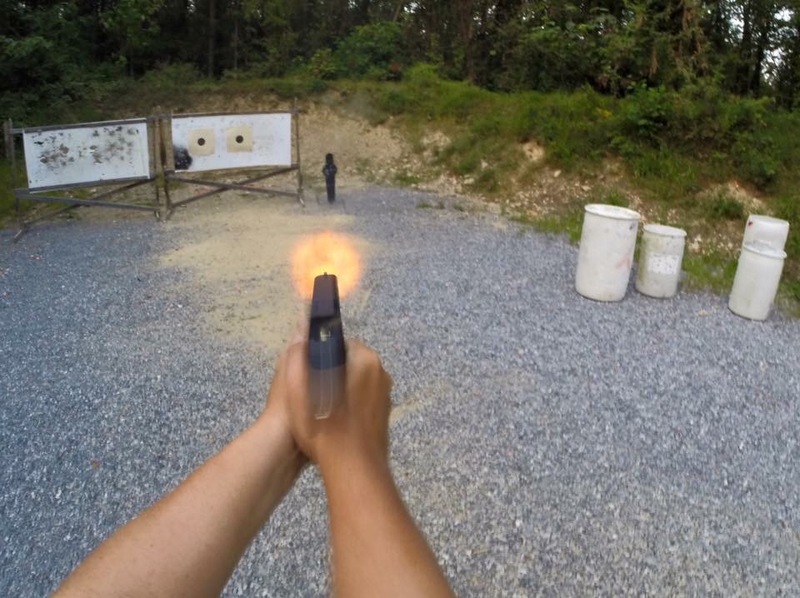 The recoil is surprisingly mild; of course I was shooting “normal” factory loads, nothing too hot. I was expecting it to be closer to my 44 magnum but it felt comparable to a 1911. The long slide at the very least makes me feel like it is more accurate. At 10 yards it makes a nice little 10 round group on my popper. 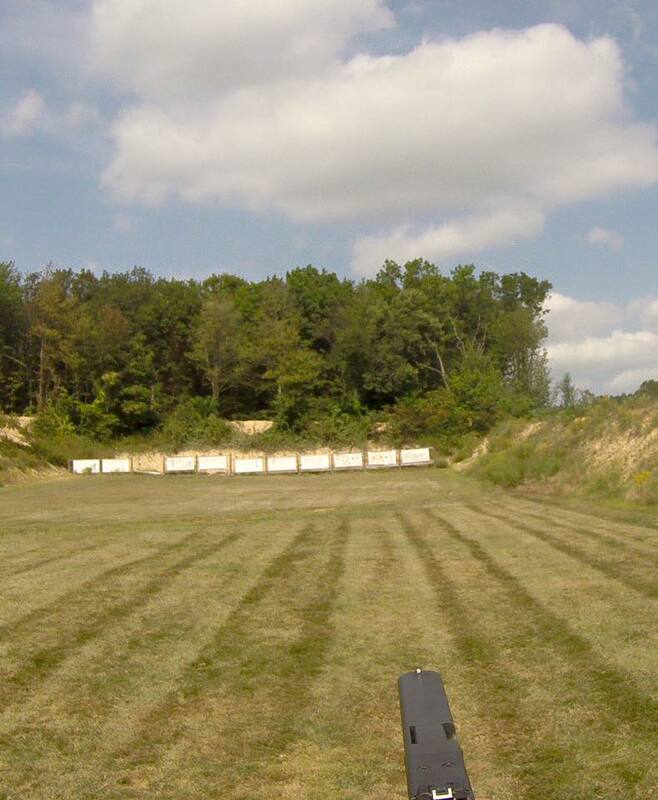 The G40 is certainly capable of long-range shots. The author however is not quite a long-range pistol marksmen. 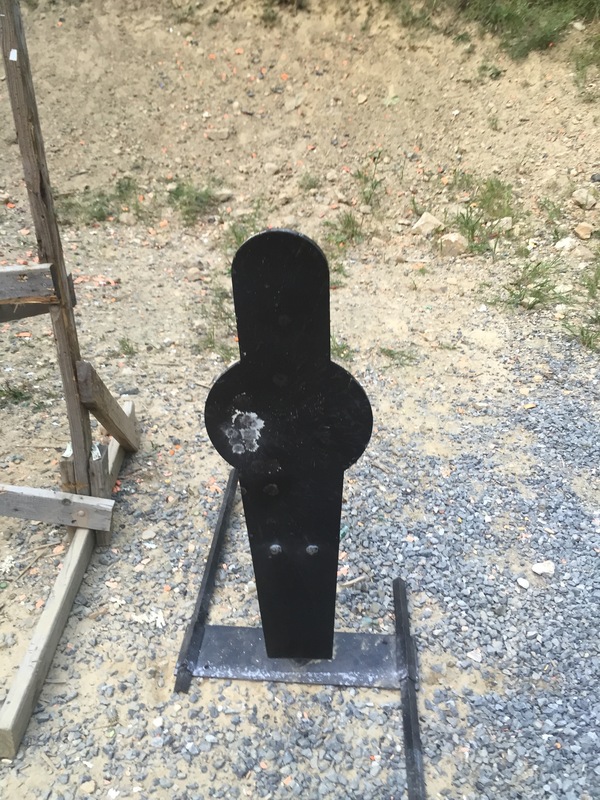 My wife sent some rounds down range with the G40 and was also impressed with its accuracy and manageable recoil. 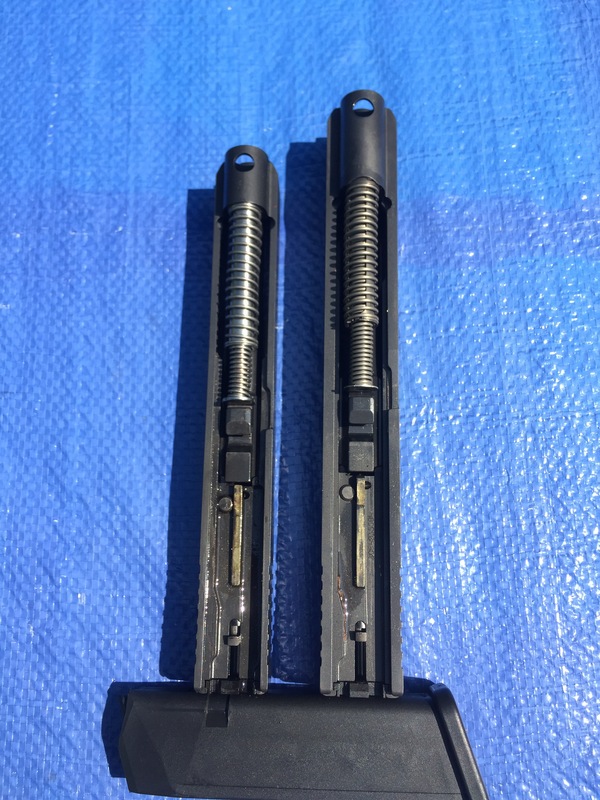 We burnt up around 200 rounds a mix of JHP and FMJ and despite some efforts to limp wrist it and not even bothering to give it a drop of lube, neither of us had a stoppage. As far as the MOS system I am going to hold off on that for now. For my purposes, I won’t be using it for hunting so irons are plenty and less to worry about. 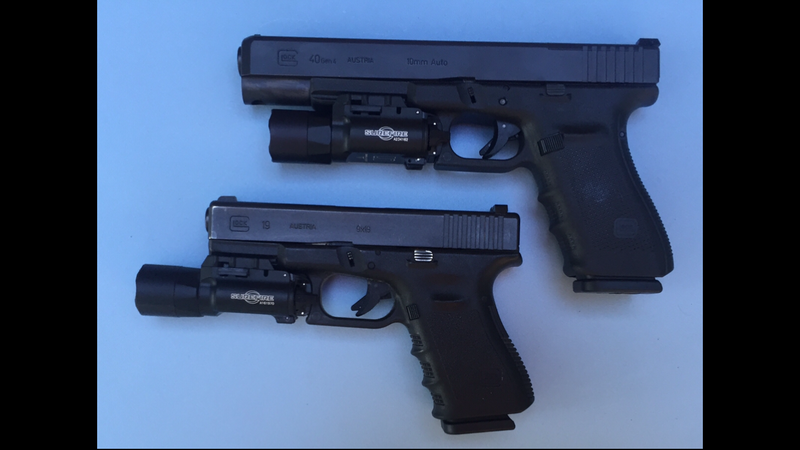 I plan on replacing the Glock OEM adjustable sights with 3 dot night sights as that’s what I have on the rest of my Glocks. The MOS adds a nice flexibility to the platform. If you do plan on using the G40 for hunting mounting a red dot optic would be very handy. Chances are I will end up installing something sometime down the road. Holsters are limited for the G40 right now presumably because it is so new. 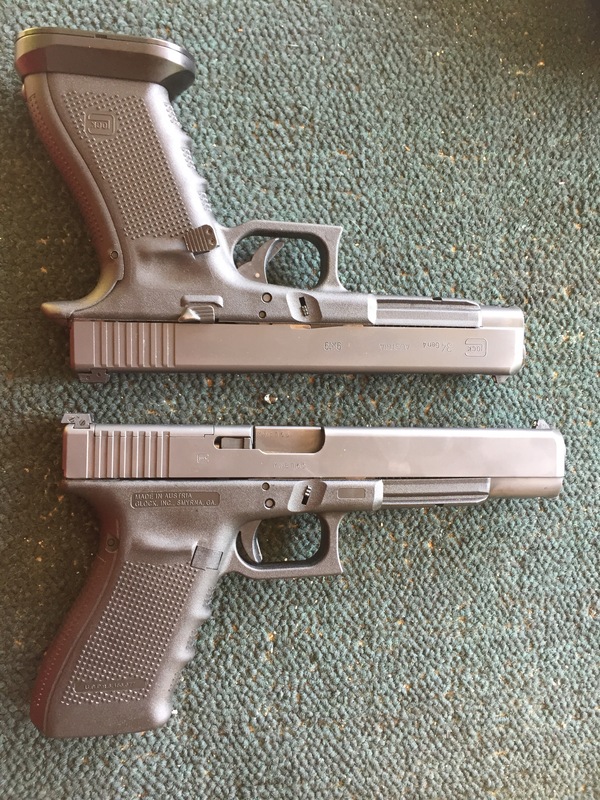 The slide on the G40 is the same width as the G20 1.12″ as opposed to the slimmer 1 inch slides of the other long slide Glocks. I reached out to Raven Concealment Systems, who unfortunately informed me they will not be making a light compatible holster for the G40. 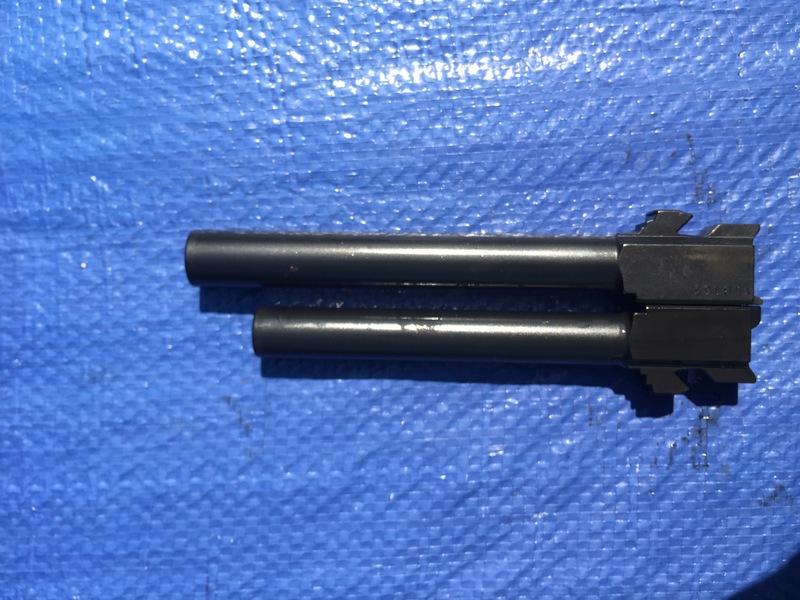 This is a shame as the G40 with a Surefire X300 ultra would make an outstanding camping gun. I shifted my holster search to leather holsters and ordered a Simply Rugged Cuda Holster which will likely be my go to holster for this handgun. 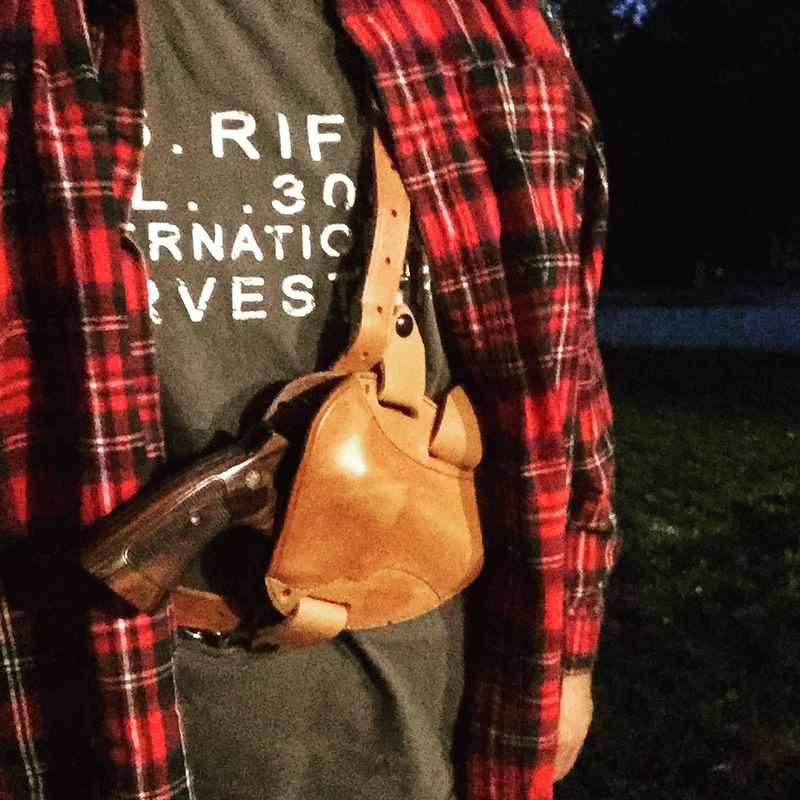 I have one of their Sourdough Pancake Holsters that will function OWB, IWB and is compatible with their chesty puller chest harness which is handy for carrying large handguns. this monster is such home run people in the stands are going to start heading home before the 7th inning because the game’s won. 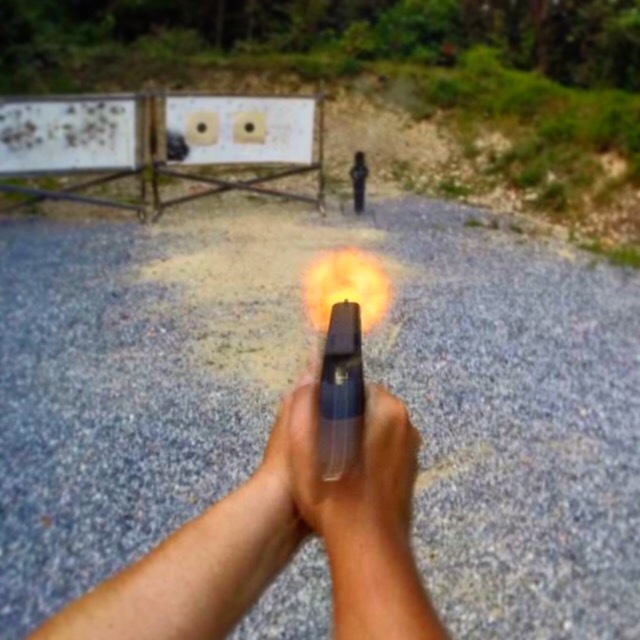 Its accurate, powerful, versatile , easy and just plain fun to shoot. 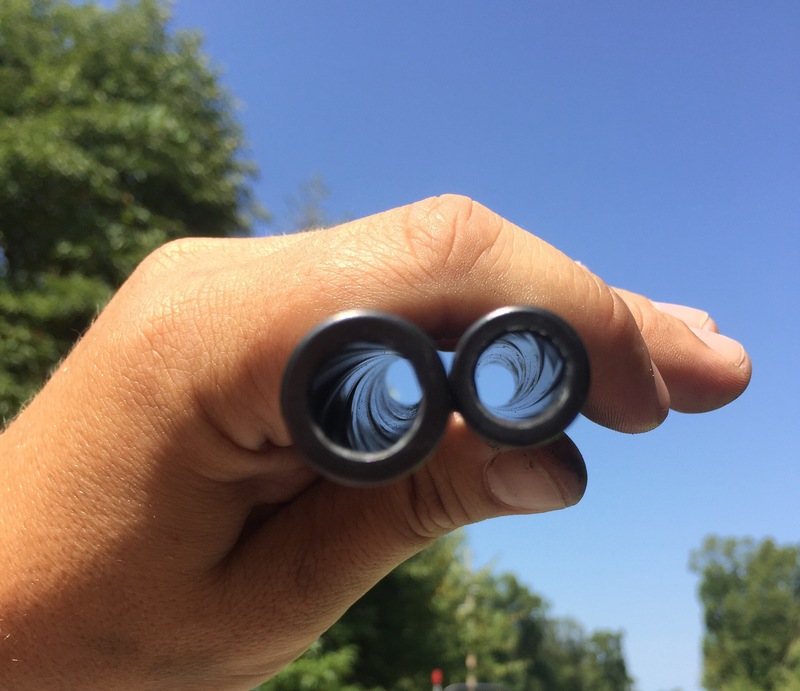 If this is a set up you are interested in, using higher suppressor sights is a pretty easy solution. I’ve been carrying the G40 for a few days in a VG2, around the office and really is not that difficult to carry. 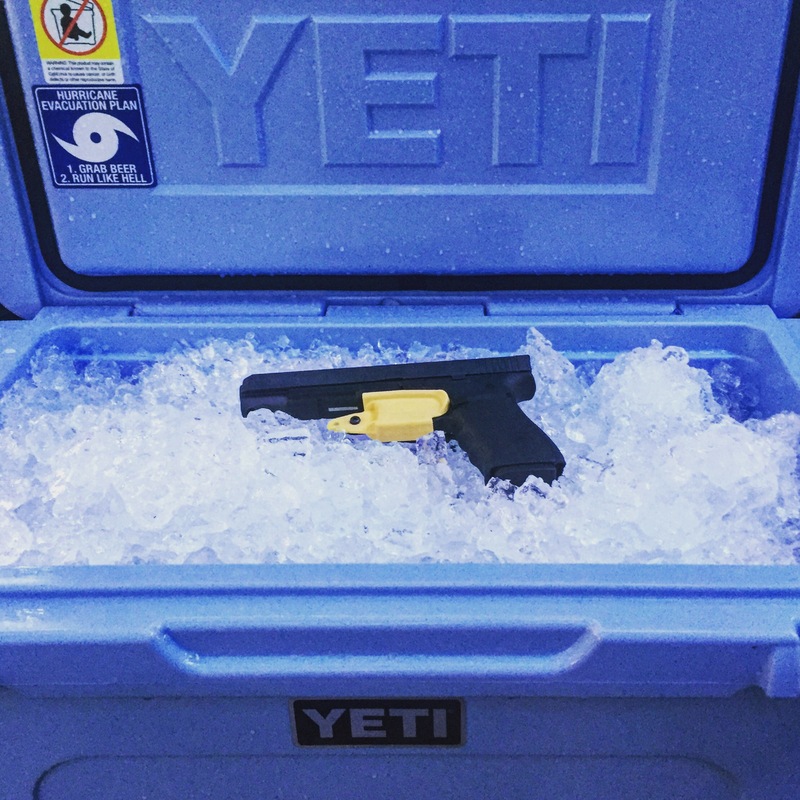 It is no Glock 19, but of course it is no Glock 19. 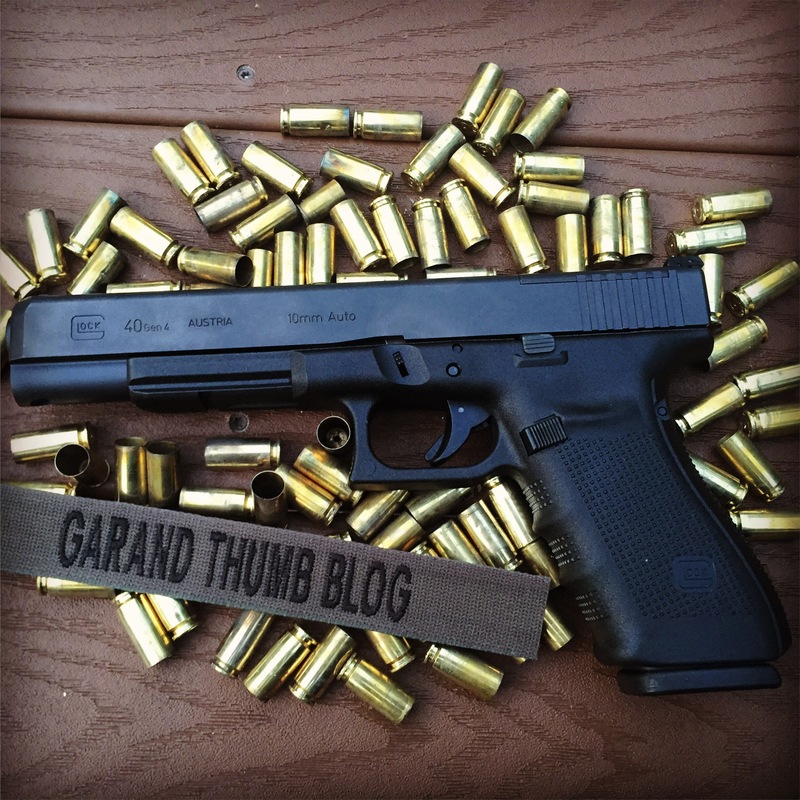 If you are on the fence if the G40 is right for you, I can without hesitation say it is. I’ve only had this Mean Mother F’er for a week or so and it is quickly becoming my favorite handgun. 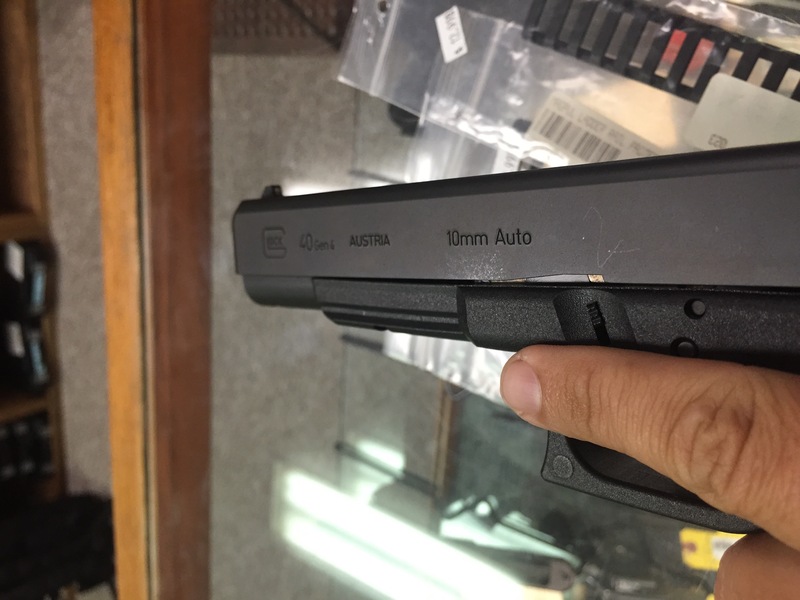 To the annoyance of every gun counter guy between Northern Ohio and Southern Florida I’ve asked “do you have that new 10mm long slide” at every gun shop I’ve stopped in since the G40 was announced. Well, I finally found one at a nice little shop in coastal North Carolina,the Gun Shack OBX In a few days I’ll take her to the range for a full report. In the meantime, here are some pictures I grabbed before it was packed up and shipped to my FFL. It’s a little larger than I had anticipated (that’s what she said) I was expecting something closer to a G34. I have a surefire X300 ultra waiting for a host gun this one should do just fine. I’ve ordered a Cuda from Simply Rugged, I have one of their holsters for my S&W 29 which I like very much. I’m hoping Raven concealment will make a light compatible holster for the G40 in the not too distant future. 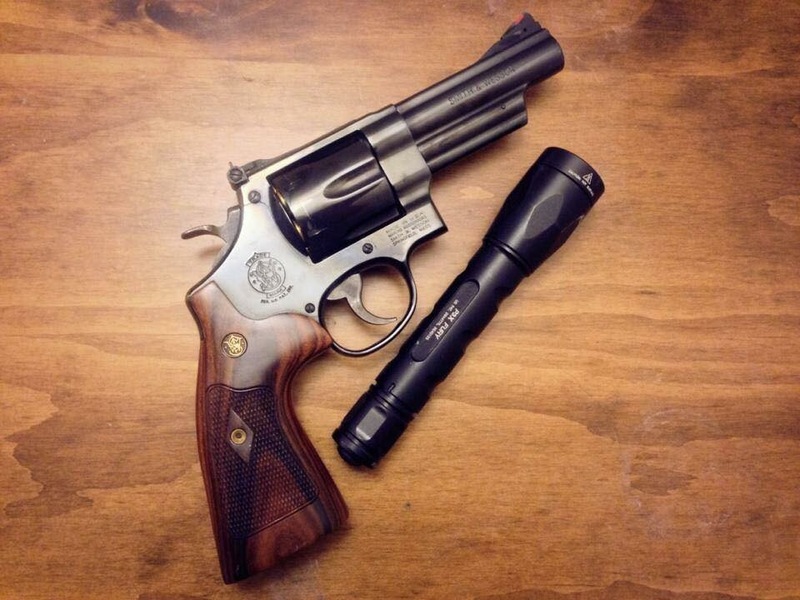 Will this take the place of my 4″ S&W 29 as my favorite “woods gun?” I suppose time will tell how lucky I feel.